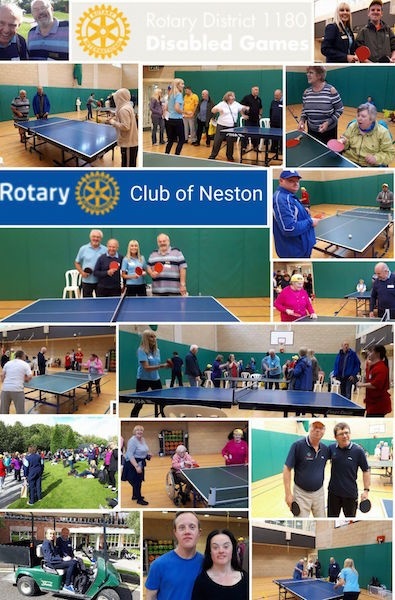 Welcome to the Rotary club of Neston. We are a small group of local people who meet socially to plan and carry out projects. We are always looking for women and men from the area to join us ! The Red Fox Thornton Hough Wirral Or speaker will be from Mercy Ships and entertainment will be from Angharad Huw a wonderful Harpist. Rotary is open to EVERYONE over the age of 18. We meet socially once a week either in the Hinderton arms or Costa in Neston high street. 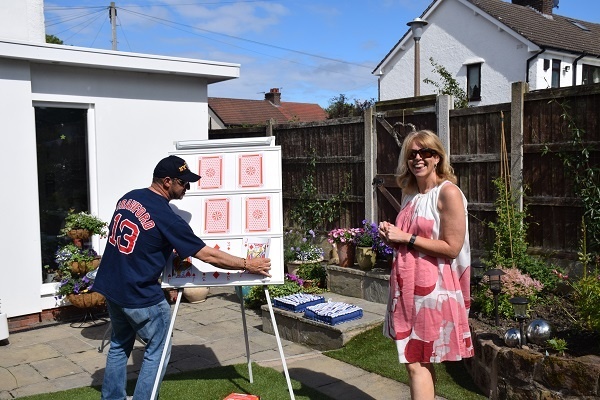 Summer fairs and carnivals and of course Christmas keep us very busy throughout the year as we fundraise and let people know what Rotary is all about. 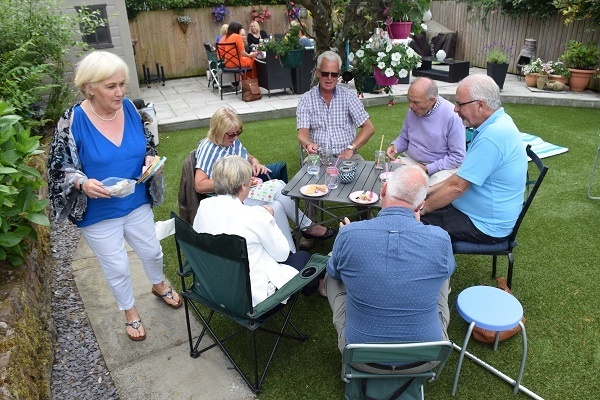 Rotary organises exchanges for all age groups throughout the world and here at Neston we have had some visitors from far and wide. If you would like to know more about the exchange programmes Rotary offers please get in touch ! 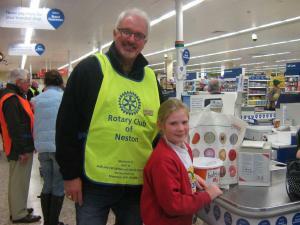 The Rotary Club Of Neston NEEDS YOUR HELP !! 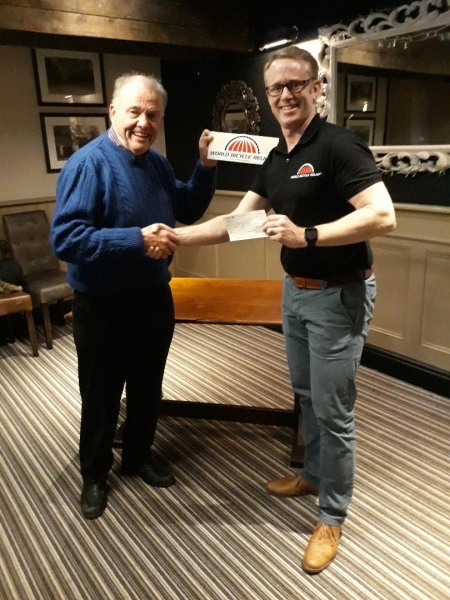 Rotary at Neston had a visit from World bike relief at their meeting this week. 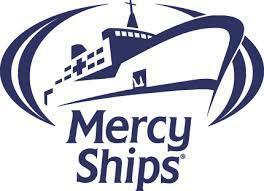 They are committed to helping people conquer the the challenge of distance, achieve independence and thrive. For many people in rural regions of developing countries poverty is a daily reality. In areas were walking is the only real mode of transport a buffalo bike offers the real and immediate benefit of reliable access to goods and services. Tonight Neston Rotary club bought one of these bikes for the charity. The Purple crocus planted by the Rotakids at Neston Primary School are looking Lovely ! 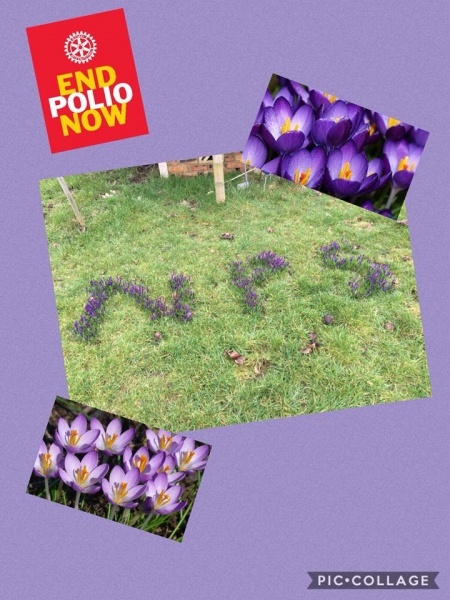 Many of the Rotakids clubs have participated in this project by planting Crocus in their school grounds helping to raise awreness of the Push to finally rid the world of Polio !! The Rotary club of Neston is looking for applications for a place on this year's Rotary Youth Leadership award course. Do you want help with getting a job? or getting that Place at University ? then this is the course for you. Rotary Leadership awards course is an intensive leadership course where you can enhance your leadership skills. 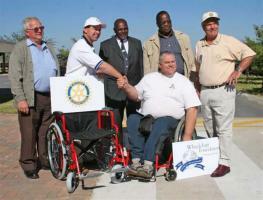 It is lead by an expereinced team alongside Rotary clubs. It is a great opportunity to have fun and meet new people and gain those vital skills as you enter the competative world. 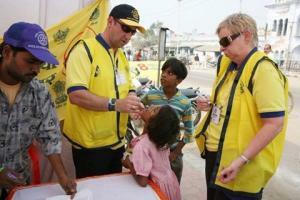 Started in Australia, the scheme is run all over the world by Rotary International. 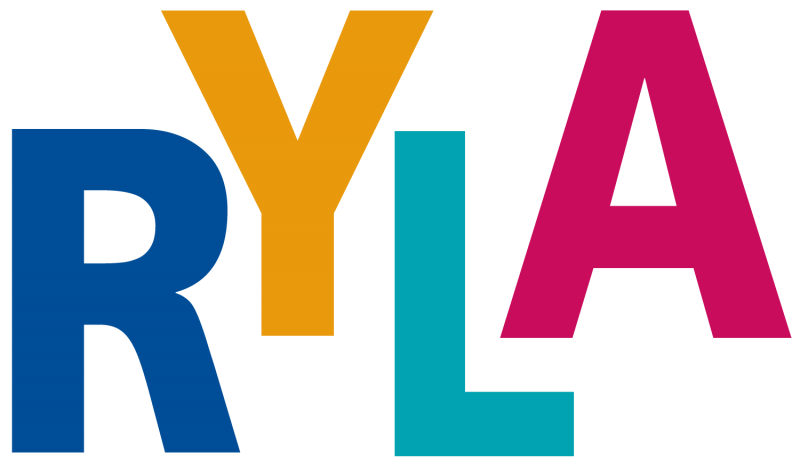 The principal aims of RYLA ia toprovide an effective training expereincefor selected young people and potential leaders, to encourage leadership of young people, by young young people, and to recognise publicly, young people who are rendering service to their communities. 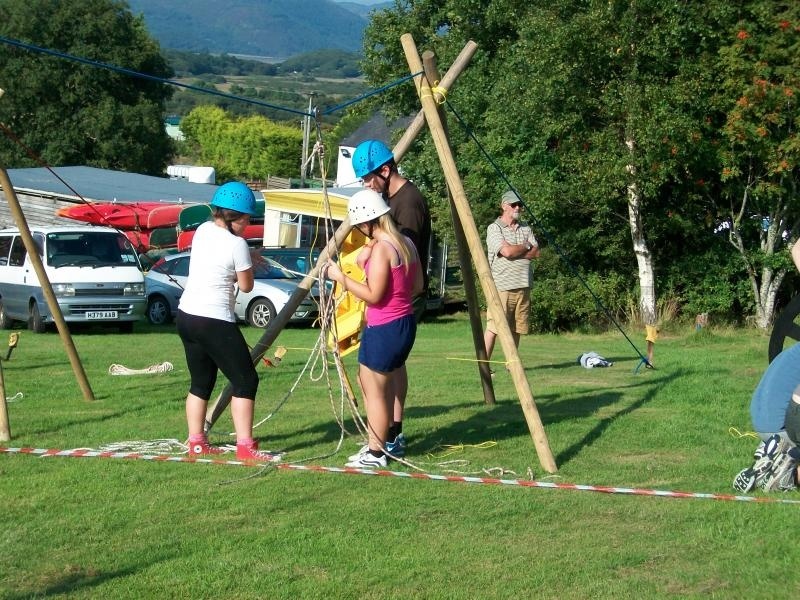 In our area the RYLA event takes the format of an activity training course for selected young people aged 16-18 at the Arthog Activity Centre near Barmouth in North Wales. This years Course will run for a week FROM 19TH UNTIL 24TH August and it is FREE to successful applicants. 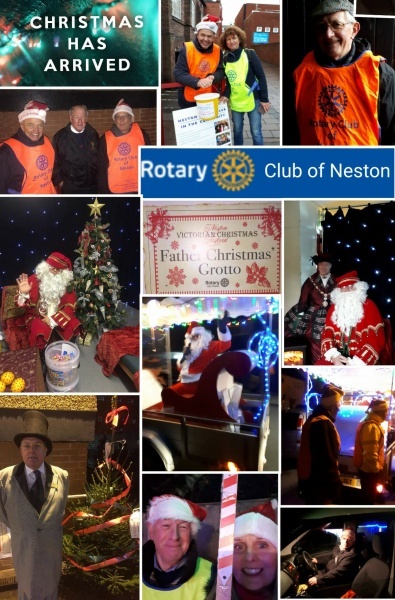 Neston Rotary were out and about over christmas and raised over £2000 for local and international charities !! Thank you all for your support !! We help with this event every year ! up to 300 people with disabilities take part in a mini olympics at Chester. It is a fantastic day and you are guaranteed to come away with a huge smile on your face ! 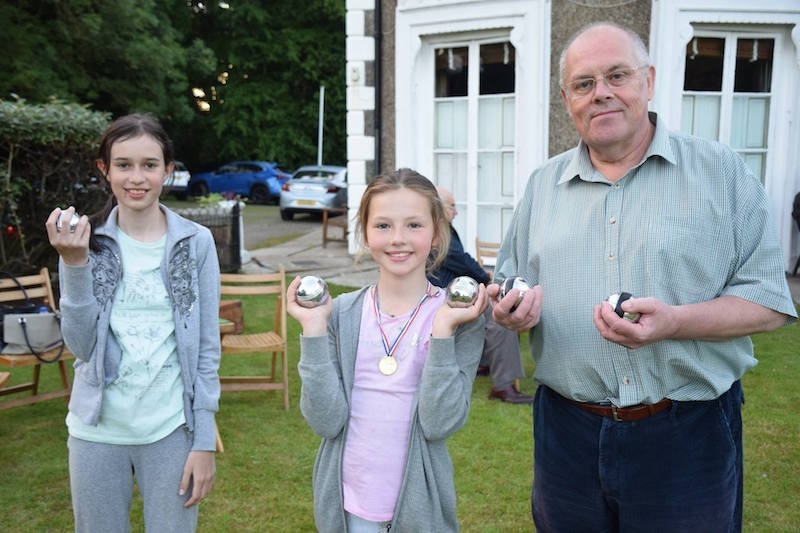 Rotarians from Neston had a great time helping out at the Rotary Fun Games in Chester ! the team looked after the table tennis event and worked hard to make sure all the competitors had a great day ! This evening the club visited the RNLI station at Hoylake . A great tour of the facility and a look at the the big boys toys !! A great chance for us to learn more about our chosen charity for the year. All finished off with a stop off at the pub ! 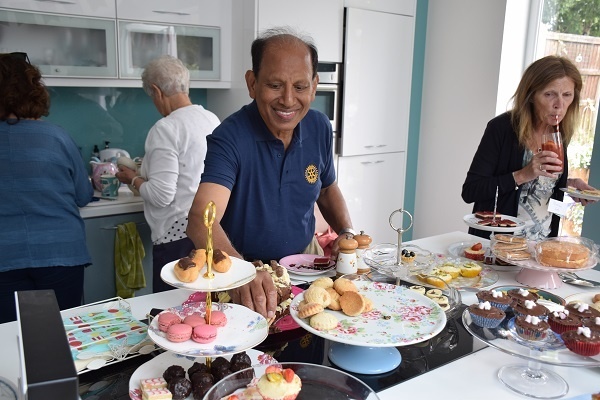 Our Rotary G and Tea Party !! 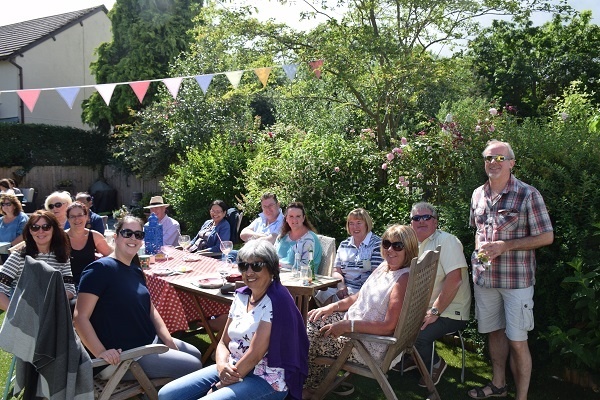 On Saturday members of Neston and Royden got together at Steve and Maria's house where they hosted a G and Tea party for Polio. A great time was had by all and the weather stayed kind to us. Lots of Gin was drunk and not much tea! Lots of lovely cakes and sandwiches ! Best of of all we raised £470 for END POLIO NOW !!! 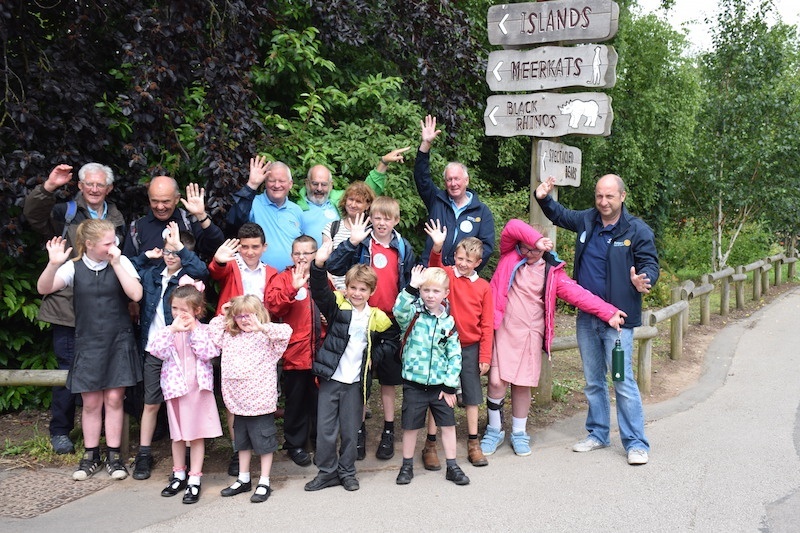 Every year we take a group of Children from Woodfall primary school to Chester Zoo for the day. Im not sure who enjoys it most the kids or the adults ! 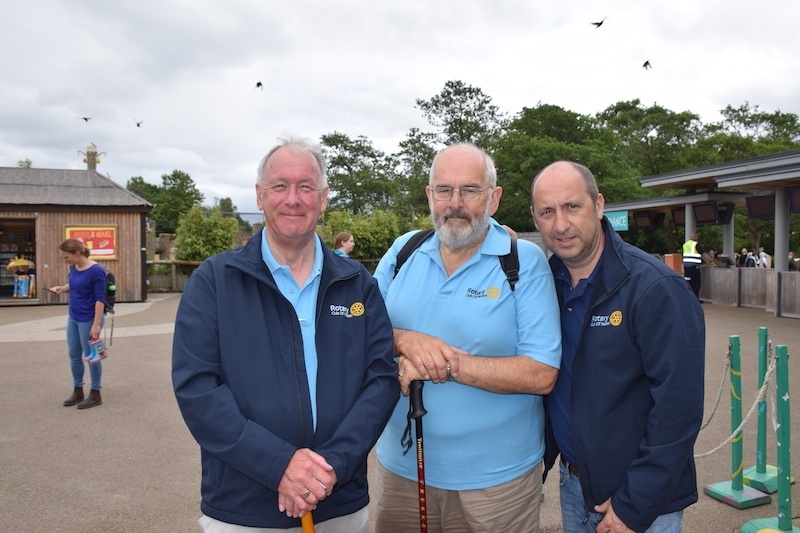 Neston Rotary club members took Woodfall schoolchildren to Chester Zoo today as Part of the annual KIDS OUT ! 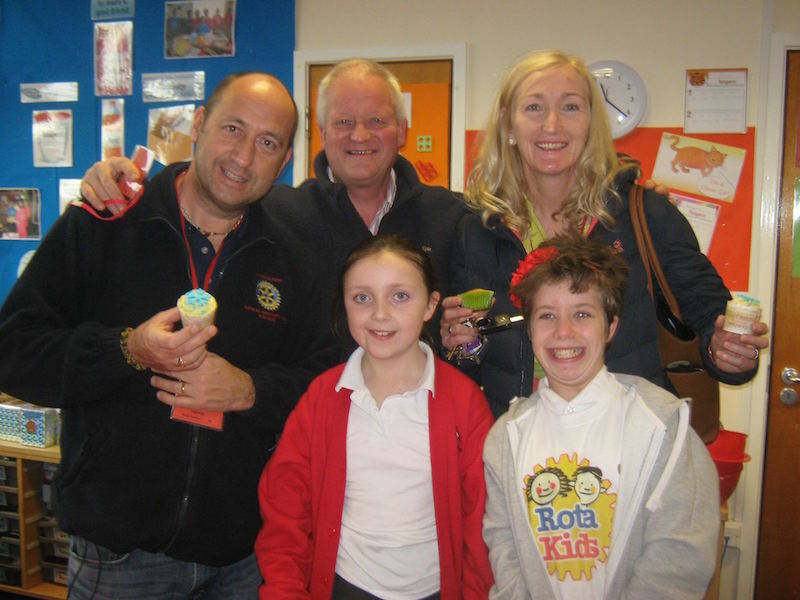 A great day was had by all and some of the team were displaying the new Neston Rotary club shirts and fleeces! Fun in the sun with the Rotakids !! 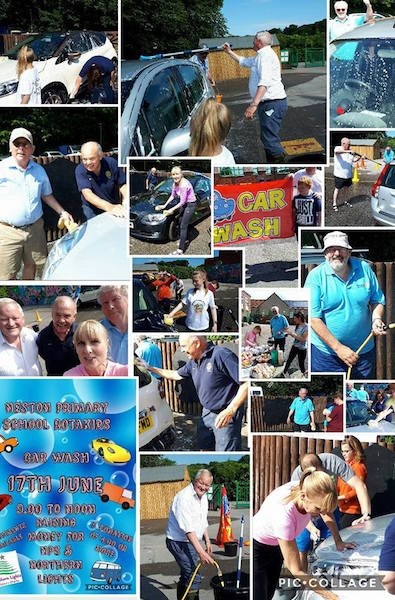 Neston Rotarians were out in force at the weekend helping our Rotakids at Neston Primary school with a Charity car wash ! As can be seen from above some did more work than others !! £450 raised for Northern lights and the school fund !! Well done to our fantastic Rotakids !! Yet again ! Another example of the charities we support. 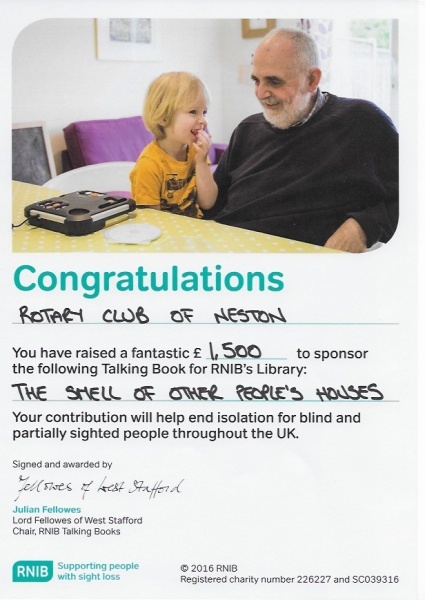 Rotary club of Neston has sponsored the develpoment of a childrens book for blind young people. " The smell of other peoples houses " by Bonnie-sue Hitchcock will be recorfded soon and be available to those children who are visually impared. 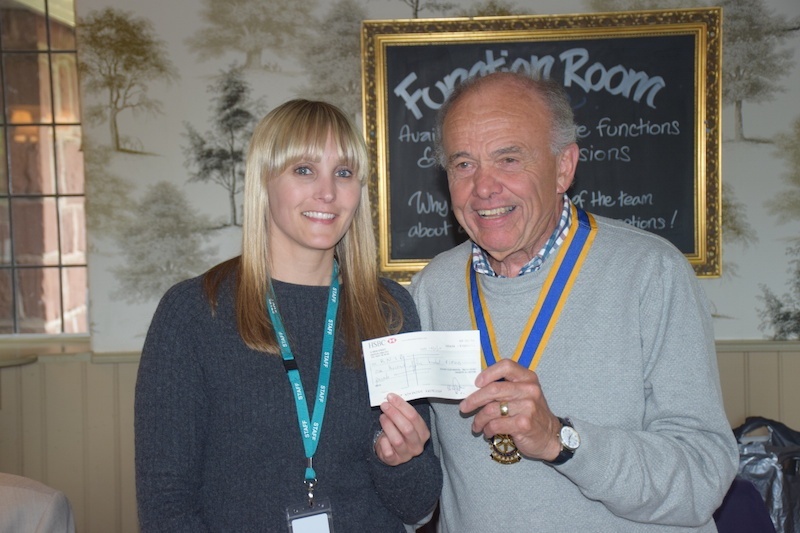 Thanks to the Rotary Foundation who also helped by way of a matching grant. 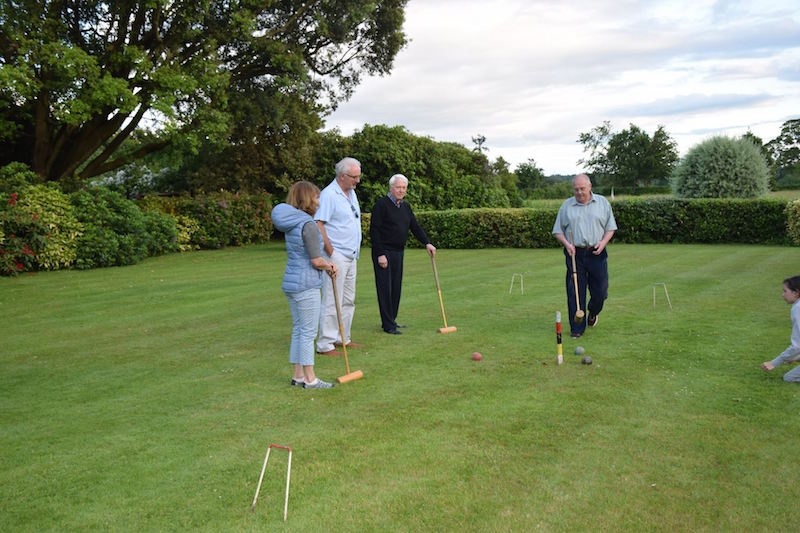 The Club Held a Croquet and Boules Evening at Poulton Hall to raise funds for the Kids out event at Chester Zoo. We even had a visit from two of the Chernobyl children being hosted by Eamon ! A great evenig of fellowship and fun was had by all ! We presented Helen with a cheque for £1500 which will enable them to produce a talking childrens book ! Helen will keep us posted about the progress of the book and in the next few weeks we will be able to select the book title. 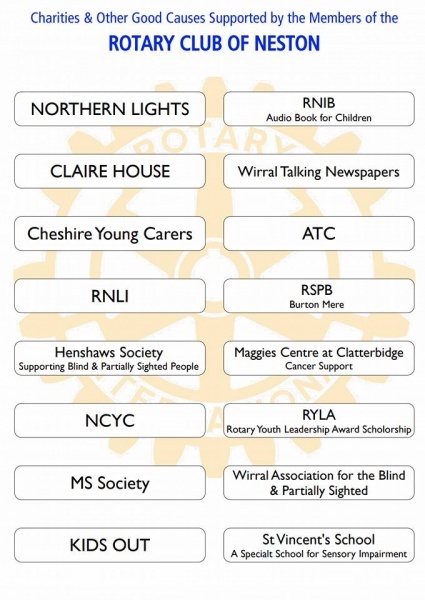 The book will start with a Dedication to Rotary Club Of Neston for making the book possible . so what is Rotary ? What do we do in our communities? The blind leading the blind ! we had an excellent evening with a speaker from Henshaws who are a superb support Charity for the visually imapired ! here steve is being guided by John who is blind ! to give him an idea of how isolated it can feel. One of those difficult tasks for a Rotarian to Perform, Eating Cake !! 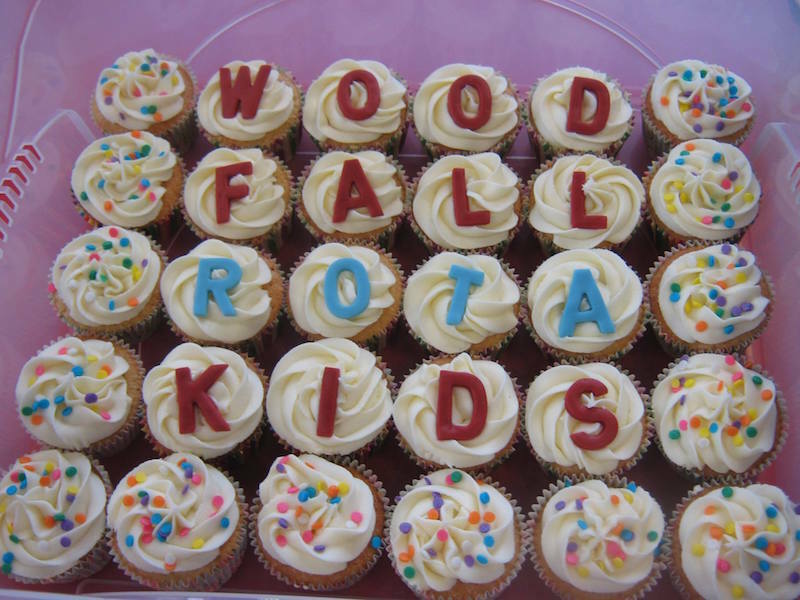 Woodfall primary Rotakids held a cakesale today and raised Â£80 for End Polio Now ! This will be trebled by the Bill and Melinda Gates Foundation. 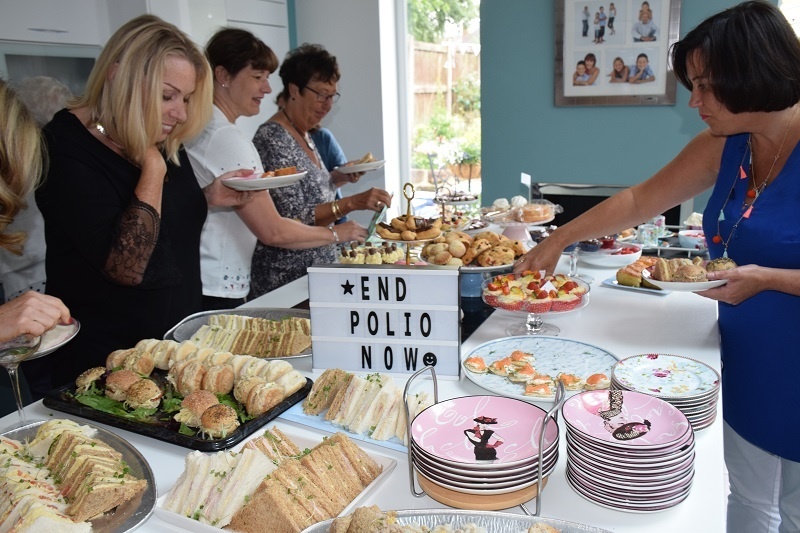 This was arranged in conjunction with the worlds greatest meal to end Polio ! Meeting at Costa coffee, bring a friend !